The Walking Dead #124 shifts the focus momentarily back to Eugene and the others as they escape in a small van. With fatigue setting in, they decided to find somewhere to rest for the night; unfortunately they also run into some Walkers. To make matters even worse they find that one of Negan’s snipers is also in the area. Then we are flung right into the thick of the action back at the Hilltop where Rick and his forces are trying to regroup while the Saviors press home their advantage. Fortunately Ezekiel and Michonne have set up an ingenious way to catch Negan and the Saviors off guard, soon the tables are turned, and Negan’s forces have to retreat. Part Ten of All Out War is one of the best yet, the action doesn’t let up for a moment. Jesus is quick to help protect Rick after he is wounded, while Ezekiel and Michonne also play a crucial role in repelling the Saviors, and later Michonne and Jesus work together to try and clear out some of the Walkers attracted by noise of the battle. As the wounded at the Hilltop begin to suffer from the deadly effects caused by the Saviors infected weapons, developing terrible fevers, the full horror of what is actually happening begins to sink in. So, it certainly looks like Rick’s days are numbered. If the crossbow bolt was indeed covered in infected Zombie matter, it’s only a matter of time before Rick succumbs to the inevitable and becomes a Walker – although he has yet to develop any symptoms like the rest who have been injured. It’s almost unthinkable to contemplate, that such a pivotal character like Rick could be killed off, but as we all know anything can happen in The Walking Dead and no one is ever truly safe. I must admit I’ve had my doubts about Dwight right from the start, ever since he decided to help Rick’s alliance fight Negan. So, has Dwight really betrayed Rick, it seems he was he lying all along, or is there a chance he could he still play a part in bringing about Negan’s downfall? Either way, Robert Kirkman has certainly kept us guessing about this scarred faced character. As Dwight sat beside Negan at the campfire in this issue, while Negan gloated about how he plans to end this conflict, I couldn’t help wondering if there might be a few more surprises in store for us as far as Dwight is concerned. The art by Charlie Adlard is as excellent as ever in The Walking Dead #124 I really liked the scenes where Eugene and the others were driving through the darkened streets and the Walkers surrounded their van. Adlard’s art depicted this nightmarish moment perfectly, with the Zombies caught in the headlights, as they began shambling towards the van. Stefano Gaudiano’s inks also really enhance this scene, making it even more menacing. The way the sniper is dealt with added another surprise twist, illustrating just how cut throat life has become in the Zombie Apocalypse, when the hunter suddenly becomes the hunted. All Out War has featured some nasty scenes, and the battle at the Hilltop is no exception. It’s brutal in its intensity, with no quarter given or taken on either side. This is page turning stuff and will keep you on the edge of your seat, even after the dust has settled and we take in the full extent of the damage this attack has wrought on the Hilltop – a hauntingly bleak vista of desolation created by Charlie Adlard that is so eerie you’d swear you could almost hear a gentle breeze caressing the wreckage as the undead stagger aimlessly through the ruined landscape. 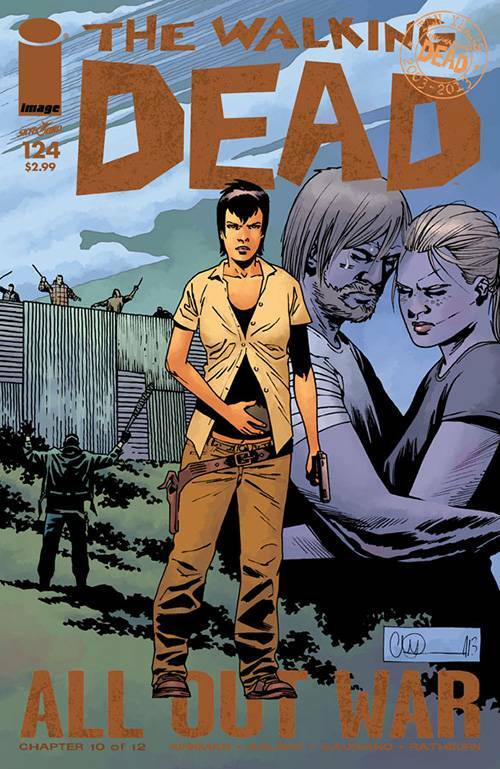 The Walking Dead #124 is another really good issue. All Out War has been a really exciting storyline, its certainly taken the series in a new direction, and events look set to continue building towards a suitably epic and blood soaked finale. 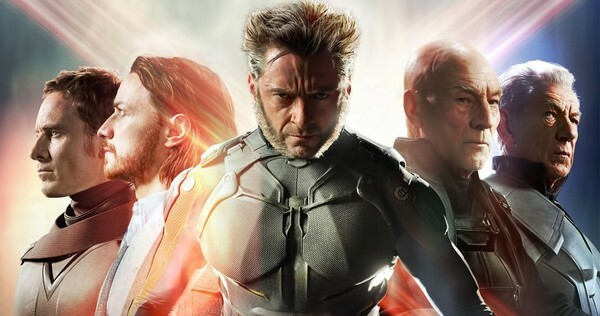 Check out the brilliant new trailer for X-Men Days of Future Past! 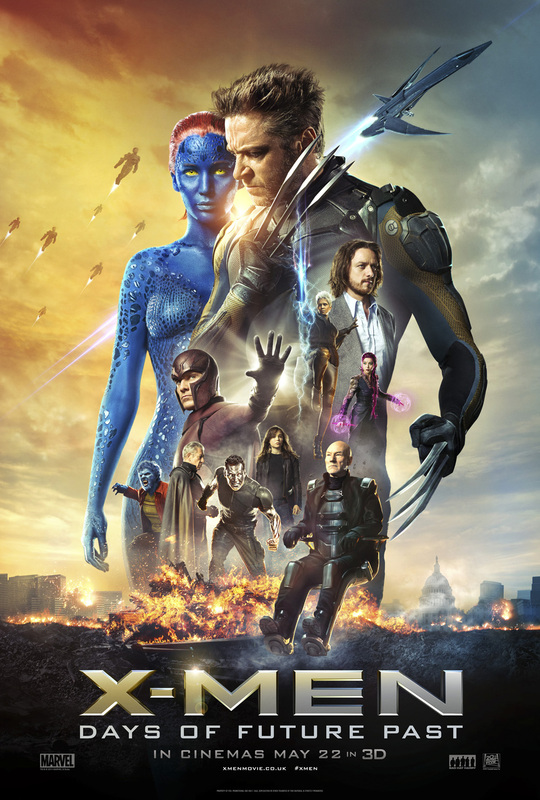 charts the epic beginning of the X-Men saga, and reveals a secret history of famous global events. Before mutants had revealed themselves to the world, and before Charles Xavier and Erik Lehnsherr took the names Professor X and Magneto, they were two young men discovering their powers for the first time. Not archenemies, they were instead at first the closest of friends, working together with other Mutants (some familiar, some new), to prevent nuclear Armageddon. In the process, a grave rift between them opened, which began the eternal war between Magneto’s Brotherhood and Professor X’s X-Men. Black / White is the brand new anthology collection from the Australian author Andrez Bergen, writer of the detective noir inspired superhero novel Who Is Killing the Great Capes of Heropa? This anthology features artwork by Canadian artists Dezz Rodriguez (Erl Cuervo) and Michael Grills (Runnin’ With a Gun), American Nathan St John (Baya), with British artist Andrew Chiy and Argentinean Marcos Vergar, alongside Australians Andrez Bergen and Matt Kyme (That Bullet Proof Kid & Tales to Admonish). Published by IF COMMIX, Bergen and Kyme takes an innovative stance with Black / White, balancing contrasting tones of storytelling and art (both black and white) in this new Aussie iNDie anthology which, together with its impressive collection of international artists, explores the subtleties and subtexts which exist between them both. With a focus on noir, together with a dark blend of comic humour, Black / White serves up a bold and unflinching collection of stories tackling numerous themes: including crime, suicide, and a chilling post-apocalyptic nightmare in a dystopian future. The first of the six tales in this anthology, Zig Zag, features a man, cleaning a gun, one that has survived for a 100 years. The narrative here is delivered by Bergen along the left hand side of the page, while the art by Rodriguez dominates the right of the page. The noir style monologue is hauntingly relayed; a symphony of darkness and despair, which together with the uncanny twist at the end gets Black / White off to a fine start. Get Busy takes us to a bustling night in a bar, where barman Ziggy studies the comings and going of his patrons. While the tone of this story is somewhat lighter, Andrez Bergen provides with a host of interesting character, with some great art by Marcos Vergar, this story necks a triple shot of vodka and delivers a surprise find in the most unlikely of circumstances. Lin Leum Actress by Michael Grills and Andrez Bergen introduces us to a seductive woman as she admires herself in the mirror. A man just sits and watches her, admiring her beauty. Breakfast, toast and a shot of tequila, later, the man’s vision begins to goes dark, and we slowly learn why this is the last thing he will ever see. I really enjoyed this story, tightly plotted and with intriguing characters, its one of the best in this collection. The Writing on the Wall introduces another great female character by Bergen, a nomadic vigilante, who catches youths Marie and Jo-Jo daubing graffiti on a wall in a dark apocalyptic landscape. This stranger uses a clever play on words and bullets to meet out justice according to her design. The art by Nathan St John really encapsulates the dark and gritty tone of this story, with great visual flourishes, this story really stands out from the crowd. Waiting for Sod All is the tale of married woman, she is ill, and it is breaking her heart to see her husband as he clings to the last vestiges of hope they once shared. The pain of her illness has become too great now, so the woman makes one final choice, in a heartrending move were her salvation is only phone call away. With story and art by Andrez Bergen, this is perhaps the darkest tale of all in this entire anthology. Bergen’s unflinching approach to the subject matter here is polarized within the vivid blend of shadows and white imagery, weaving a dark narrative through the deeply emotional impact of a love eroded in a sea of pain and tears. Come Out Swinging by Andrez Bergen and Andrew Chiu is a short little story, where a man saves woman from her captor, which concluded with a snappy punch line. This single page rounds off the anthology and brings Black / White to a close. Black / White is an excellent collection of stories, the distinct film noir and dark apocalyptic style filters through every page, creating a near perfect synergy with each story. 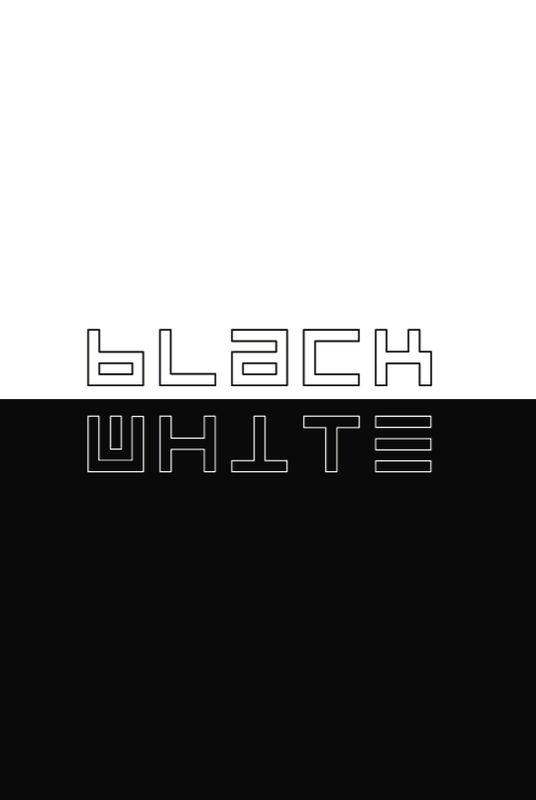 The various artistic styles also complement each other very well, none of the stories outshines or clashes with those around it, and it is perhaps this element above all that makes Black / White such an enjoyable and eclectic collection of stories. Andrez Bergen has excelled himself with this issue, superb stories, a great team of artists, and a striking cover by Matt Kyme, ensures Black / White will have a lasting impression on your imagination and senses long after the final page has turned. American Vampire Second Cycle follows their dark paths, will fate bring them together again, or will they remain separated forever? And just who is the new villain waiting for them on the horizon, a being more vicious and evil than anything we’ve ever seen in American Vampire before? Who is this Grey Trader, a storm of conflict is brewing in his wake, and what exactly will his arrival mean for Skinner and Pearl? The hit Vertigo series American Vampire returns after a year in hiatus, with American Vampire Second Cycle #1, which picks up where Pearl has returned to her family’s farm after Henry’s death and is coming to terms with her grief. She is also looking after lost children at her house, but protecting them will not be easy, especially now The Grey Trader has taken up the hunt. Skinner was once an outlaw in the days of the old-west, now he is trying to recreate his former life as a mercenary, riding a chopper as he travels the lonely highways. The wait since American Vampire #34 in January last year, when the Vertigo title went on hiatus to allow Snyder to concentrate on his acclaimed run on Batman, Superman Unchained, and the launch of The Wake, has left us eagerly awaiting the return of this landmark series. Now American Vampire Second Cycle #1 is finally with us. Scott Snyder and Rafael Albuquerque continue to build on the epic scope and scale of their vampire saga with Second Cycle, exploring the conflicts affecting the vampire world, while expanding the mythology of the series. After galloping through a chilling flashback that take us to the Mexican Territory of Arizona in 1881, American Vampire Second Cycle #1 reunites us with Pearl Jones on her family farm in Kansas 1965, where she returned after Henry’s death. Pearl has turned her parent’s home into a sanctuary for vampires seeking refuge, where she helps them to relocate and start over. The newest arrival, a young girl called May, is quickly welcomed by Pearl. We are also introduced to the other children that Pearl has taken in, a very eclectic and intriguing mix of vampire species. However, as Pearl begins researching the girls species, May delivers a sinister warning to Pearl about a new, and even deadlier evil. Skinner Sweet is currently terrorizing the Texas / Mexico border, stalking the highways on a chopper, dealing out death and mayhem in equal measure. Skinner has made his home in a train car, a hideout that he helped create long ago, burred out in the middle of the desert where it is perfectly suited to his role as a bandit on the border. Skinner is now more aware of the longevity of his existence than ever before, and as the world has changed around him, he doesn’t seem able to find quite the same fulfilment as he used to. But soon Skinner finds himself facing a new threat, when an ambush on a storm drenched night leads him to a fateful encounter. It’s interesting to see the paths Skinner and Pearl have taken. In term of the series timeline, nearly ten years have passed, and both of them have in a sense gone home – back to places in their former lives to forge new roles for themselves. They are each seeking out a meaning and purpose in their unead lives, but its clear right from the outset that big upheavals are on the horizon now The Grey Trader is coming. This new villain is undoubtedly one of the most powerful we have seen in the series so far, ancient and deadly, the Trader seems engrained within the very fabric of history itself, and he soon begins to make his presence felt. 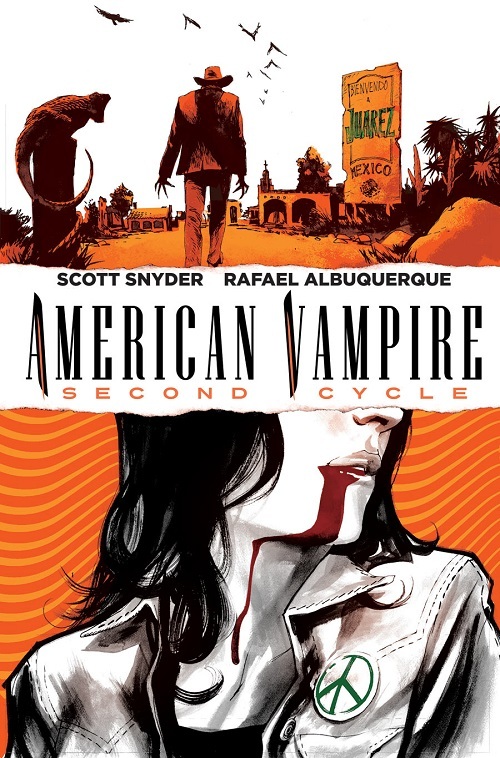 The art for American Vampire Second Cycle by Rafael Albuquerque is stunning. From the opening scenes, Albuquerque’s artwork sweeps you along with the break-neck pace of Snyder’s narrative, switching seamlessly between characters and time zones with every turn of the page. Two exceptionally detailed splash pages bring us right up to date with the paths that Skinner and Peal have taken since we last saw them. Rafael Albuquerque brings a fluid clarity to these intricately structured scenes, highlighting key points where Scott Snyder has skilfully weaved in numerous references for the series fans while also making the recaps accessible to new readers. The chase between Skinner and the truck is another stand out moment, where the “sugar man” closes in on his quarry, culminating in a brutal and explosively bloodthirsty showdown on the deserted highway. Dave McCaig’s colors complements Albuquerque’s art perfectly: the dusky orange hues surrounding Pearl’s farm are wonderfully evocative, the aforementioned highway chase swirls in haze of heat and dust, giving way to darker moments of reflection, before the cold blue tones of a rain swept climax envelopes you in the coming storm. American Vampire Second Cycle #1 is a fantastic start to this new chapter in Scott Snyder’s renowned vampire opus. This promises to be one of the most exciting storylines so far, with a building scene of foreboding, it looks set to push the boundaries of the series like never before. Scott Snyder and Rafael Albuquerque have excelled themselves with American Vampire Second Cycle #1, fans of the series will be delighted with his brilliant first issue, and it also serves as an excellent jumping on point for those checking out the series for the first time. THWIPP!!! 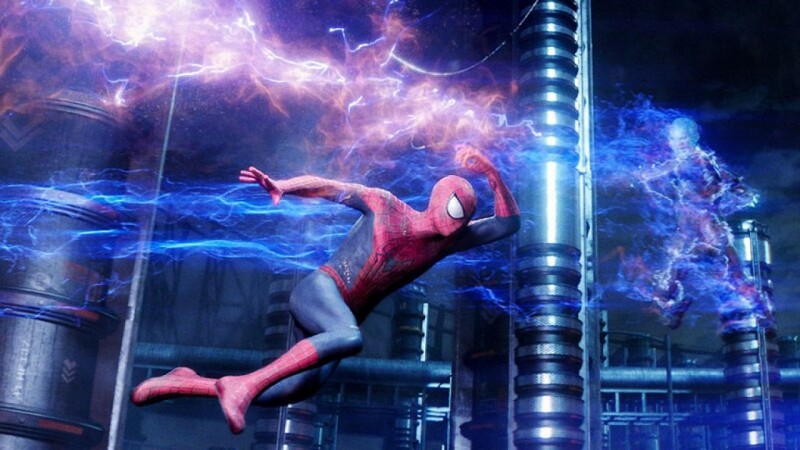 Check out the final trailer for The Amazing Spiderman 2! Following Salamander’s demise and narrowly escaping from a giant web in space, the TARDIS materialises in the London Underground, where the tunnels have become infested with pulsating webs and the Great Intelligence’s fearsome robotic Yeti. The Doctor (Patrick Troughton), Jamie, (Frazer Hines), and Victoria (Deborah Watling) are reunited with Professor Travers (Jack Watling), who they met forty years ago in the Himalayas. They discover Travers’ experiments with a control sphere must have accidentally reactivated the Yeti he brought back from Tibet in 1935, providing the Great Intelligence with another chance to invade Earth. 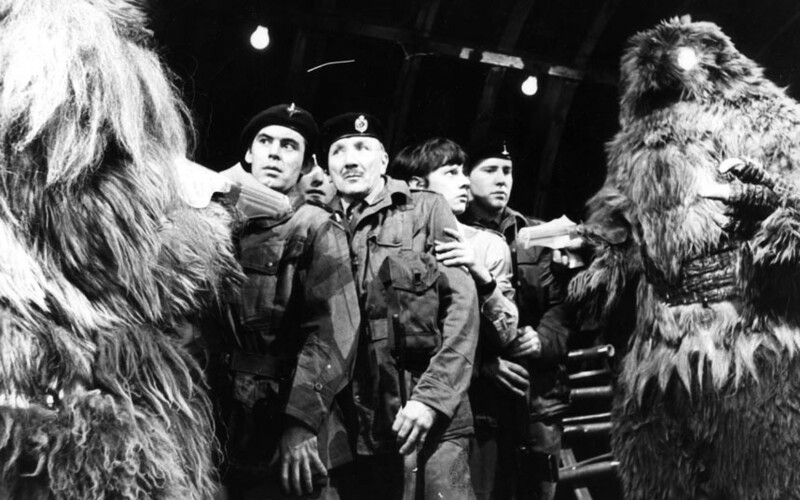 As the web-fungus begins to fill the underground tunnels the Doctor joins forces with the Army, led by Captain Knight (Ralph Watson), and then later Colonel Lethbridge-Stewart (Nicholas Courtney), to fight the Yeti – unaware that someone in their midst has been possessed by the Intelligence. The Doctor and his friends are captured by the Yeti and taken to the Great Intelligence’s lair, where the Intelligence plans to drain all of the Doctor’s knowledge from his mind. The Web of Fear (1968) is the fifth story from Season Five, written by Mervyn Haisman and Henry Lincoln, this adventure features Patrick Troughton at the height of his tenure as the Doctor. The announcement in October 2013 that four of the five missing episodes from The Web of Fear – together with The Enemy of the World – had been discovered by Philip Morris in Nigeria, with their subsequent return to the BBC and immediate release on iTunes, made the 50th Anniversary celebrations of Doctor Who even more special. This new DVD release from BBC Worldwide is one that few of us could ever have dreamed of owning back when the range was launched fifteen years ago, so it is perhaps fitting then that such a revered classic from Season Five as The Web of Fear should become the final regular release from the Doctor Who DVD range – before the range itself concludes on October 26th 2015 with the long-awaited release of The Underwater Menace. Needless to say, Patrick Troughton is magnificent in The Web of Fear. 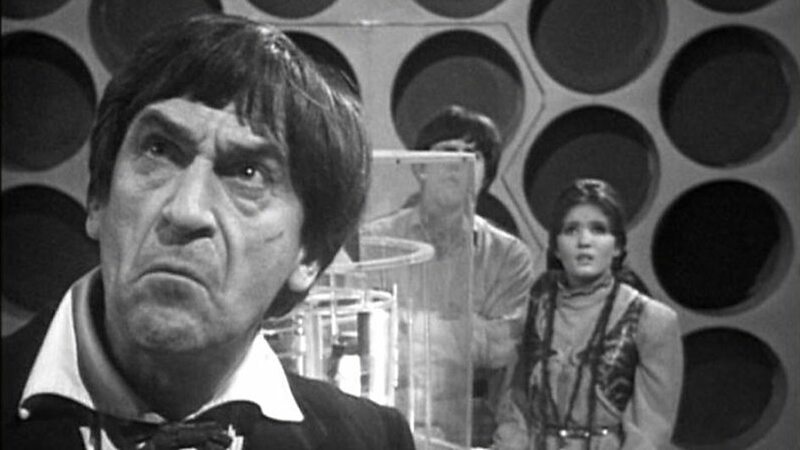 In a performance that shifts effortlessly between the lighter, more comic moments, and brooding intensity as the Doctor contemplates the Intelligence’s plans, Troughton’s presence seems to permeate nearly every aspect of the story – even when he is absent during second episode, only featuring momentarily in the reprise for the previous episode, his Doctor presides over this web of intrigue; causing subtle ripples that spread outwards to influence everything around him. The camaraderie between this TARDIS crew is a joy to behold. Jamie is as resourceful as ever, helping close the TARDIS doors to save the Doctor and Victoria from suffering the same fate as Salamander, and being sucked into the time vortex. Following this exciting opening there is a wonderful scene were Jamie and Victoria tease the Doctor about his ability to control the TARDIS. Once they escape the web in space and materialise in Covent Garden tube station we are treated to a typical exchange between the Doctor and Victoria, where she asks if it’s safe to venture outside, to which the Doctor assures her wryly that he shouldn’t think so for a moment. Frazer Hines has some great scenes in this story, Jamie’s previous encounter with the Great Intelligence proves extremely useful, he knows about Intelligence’s pyramid devices, helps the soldiers when they confront the Yeti in the tunnels, and looks after Victoria when the Doctor goes missing following the explosion at Charing Cross. Deborah Watling has plenty to do as well, in this, her penultimate adventure as Victoria Waterfield; her character has become a little more accustomed to her adventures in time and space by this story, with Victoria bravely wandering into the tunnels alone at one point in search of the Doctor and Jamie. The Web of Fear is a near perfect fusion of storytelling and direction. With its dark and foreboding tunnels, eerie, web shrouded atmosphere, and the sure knowledge that something terrible is lurking in the darkness, ready to strike at any moment, certainly makes The Web of Fear one of the most suspenseful stories of this era. 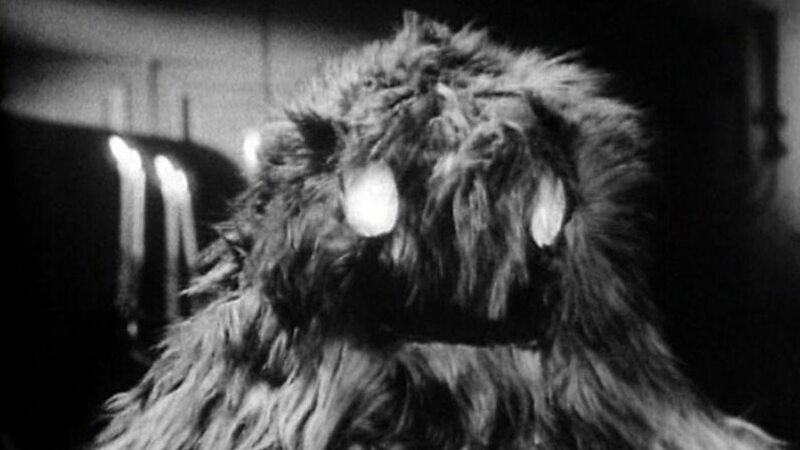 With this sequel to The Abominable Snowmen (1967), writers Mervyn Haisman and Henry Lincoln ensure the Yeti make triumphant return in The Web of Fear, cleverly moving the Yeti from the bleak wilderness of the Himalayas and placing them in the more familiar setting of the London Underground, Haisman and Lincoln instantly made the creatures seem even more menacing than ever before. The Yeti have also been given an upgrade of sorts for their second appearance, slimmer, and with the addition of two bright glowing eyes, they now wield guns that fire lethal streams of webbing, and each attack is accompanied by a distinctive roar that is both terrifying and primal in its intensity. The effectiveness of these lumbering monsters is enhanced even further by the incredible sets, designed by David Myersough-Jones, whose stunning replicas of the stations and tunnels were so good that London Underground apparently complained to the BBC – mistakenly thinking they had filmed there without permission. Deborah Watling’s father, Jack Watling, also returns as Professor Travers, heavily made up to look much older, his portrayal of the short tempered Professor is brilliant. It’s great to see Travers’ reaction when he is reunited with Jamie and Victoria, some forty years after their last adventure in the Himalayas and their observations about how he has aged is priceless. On his arrival at the armies Goodge Street underground HQ, the elderly Professor is confronted by the smarmy reporter Harold Chorley (Jon Rollason), and he promptly gives Chorley a suitably blunt and no-nonsense assessment of the crisis that has engulfed London when the journalist attempts to interview him. Tina Packer plays Travers’ daughter, Anne Travers, who arrives to help after the Yeti control sphere goes missing. Anne is an accomplished scientist in her own right, she doesn’t suffer fools lightly either, deftly subverting Captain Knight’s preconceptions of her by explaining her reasons for becoming a scientist with a cool sarcasm, and she is also swift to put Chorley in his place as well; making it clear in no uncertain terms that she has no time whatsoever for his “style” of reporting. The Web of Fear is also something of a precursor to more contemporary Earth-based stories, with the Doctor working alongside the army as a scientific advisor, leading to the introduction of UNIT in The Invasion (1968), before the concept was fully embraced by the production team when the Doctor began his exile on Earth at the start of Season Seven – a format that would form the cornerstone of the 3rd Doctor’s era. The soldiers we meet in The Web of Fear are initially led by Captain Knight, played by Ralph Watson, then we have Staff Sgt. Arnold (Jack Wollgar), along with Corporal Lane (Rod Beacham), Corporal Blake (Richardson Morgan), Craftsman Weams (Stephen Whittaker), and Derek Pollitt as faint-hearted Driver Evans. 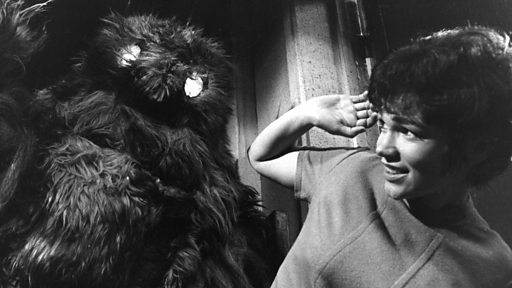 This story also features John Levene’s second appearance in the series, this time as one of the Yeti. John Levene would of course eventually go on to play the role of Benton during the UNIT stories. The Web of Fear also marks Nicholas Courtney’s first appearance as the Doctor’s long time friend Lethbridge-Stewart. Nicholas Courtney had previously appeared as Space Security Service Agent Bret Vyon in The Dalek Master Plan (1965) with William Hartnell. 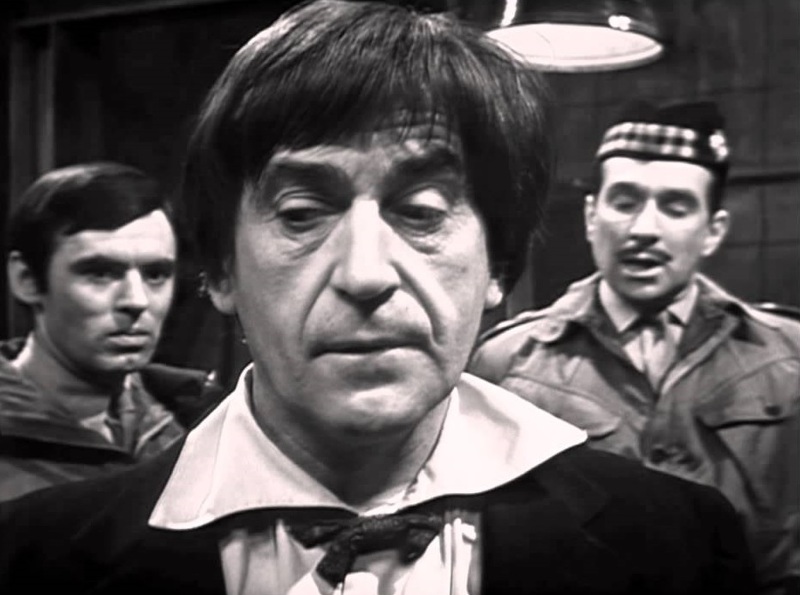 Its great to see Nicholas Courtney working with Patrick Troughton in this story, here as Colonel Lethbridge-Stewart, Courtney’s character appears midway through the story, in episode three, although his boots are actually seen in episode two (played by the unaccredited Maurice Brooks), and he quickly assumes command at Goodge Street HQ. The Colonel would soon be promoted to Brigadier for his next story, The Invasion, but here we get to see the genesis of his friendship with the Doctor. While Captain Knight is openly sceptical about the Doctor’s claims and his ability to travel in time and space, it’s fascinating to see how readily the Colonel accepts the Doctor’s explanation about the TARDIS, as well as the Time Lords hypothesis about the true nature of the Great Intelligence itself. This atmospheric direction by Douglas Camfield is nothing short of superb; every exciting moment of suspense from the scripts is accentuated further by the impressive sets and the cast’s excellent performances. 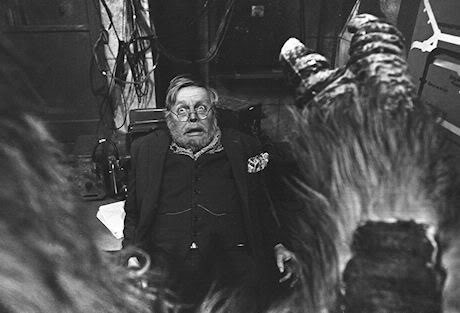 There are some brilliant Hammeresque touches as well, especially in the first episode, when the Yeti returns to life in Julius Silverstein’s (Frederick Schrecker) museum, where Camfield’s use of stock music composed by Bela Bartock elevates this scene into a sublime moment of gothic horror. The Web of Fear is one of those Doctor Who stories where everything seems to magically gel together, creating a seamless blend of sci-fi and horror. The effects of the web-fungus and the Yeti web guns are also chilling to behold, as soldiers fall screaming to the ground, their faces smothered by the deadly webbing, tunnels fill up with the bubbling web, and the fungus even creeps across the closing credits (except for episode six) in a writhing, pulsating mass of tendrils just like in the episodes themselves. 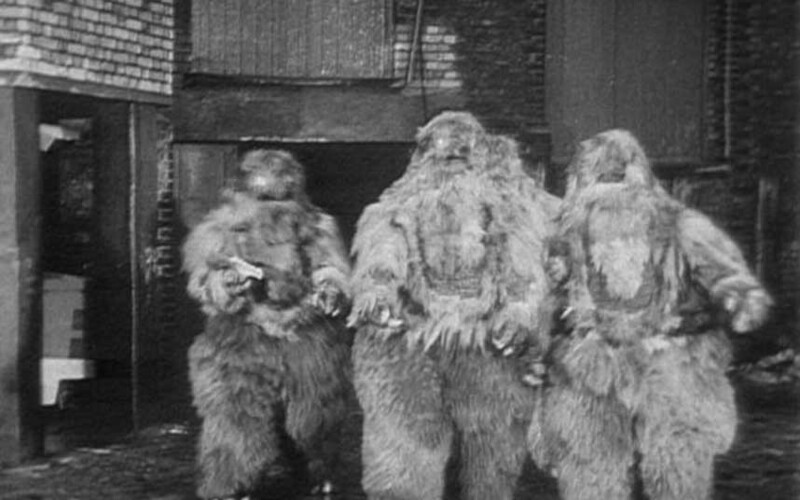 The Yeti attack at Covent Garden in episode four is another great highlight Douglas Camfield’s direction in The Web of Fear, were the Yeti strike (accompanied by the same incidental stock music used for the Cybemen) as Colonel Lethbridge-Stewart leads his men in a mission to acquire the TARDIS. As they fight back against the impossible odds above ground, unaware Staff Sgt. Arnold and Corporal Lane have already succumbed to the web while trying to push the baggage trolley through the tunnel, they find themselves locked in a bitter fight for survival as Yeti advance and mercilessly kill everyone on sight. Camfield makes the Yeti seem just as frightening in these daylight scenes as they are in the darkness of the underground tunnels, bullets, grenades, not even a bazooka seems to slow them down. Colonel Lethrbridge-Stewart is the only survivor from the massacre; he makes it back to Goodge Street HQ where he is horrified to learn that one of the missing Yeti models used to summon the creatures had secretly been planted in his pocket all along. The chilling scenes with Professor Travers possessed by the Great Intelligence, flanked by Yeti guards, as it uses the Professors voice to confront the Doctor and the survivors, reveals the full extent of the Intelligence’s plans. After their previous encounter in Tibet, the Intelligence has observed the Doctor’s travels and set this trap so it can use a machine to drain the Doctor’s mind of all his knowledge. The fifth episode is extremely tense, with almost everyone now under suspicion as the Great Intelligence’s duplicitous servant, Victoria is taken hostage by the Yeti, then Staff Sgt. Arnold returns unexpectedly, and the fungus continues to close in on Goodge Street HQ as the Doctor and Anne race against time to complete the control box to use against the Yeti. Although most of the story was originally wiped by the BBC, with only the first episode remaining in the BBC Archive, it would be many years before fans would get the chance to see this only surviving episode. While the novelisation of The Web of Fear by Terrance Dicks, published in 1976, vividly brought the story to life, it was only this, and the subsequent broadcast of episode one as part of BSB’s Dr Who Weekend (1990) followed by the telesnaps printed in Doctor Who Magazine, that served to provide any real impression of this classic story. The audio soundtrack (narrated by Frazer Hines) on the BBC Audio CD (2000) also gave more insight to this story. Episode one of The Web of Fear was finally released as part of The Reign of Terror Box Set on VHS (2003), and the episode debuted later on DVD as part of the Lost in Time Set (2005) along with a selection of clips from the missing episodes cut by the New Zealand Broadcasting Cooperation, yielding a tantalizing glimpse of the battle from episode four and the moment Anne Travers was surprised by a Yeti. Just as with The Enemy of the World DVD, there are no extra features on The Web of Fear DVD, however the sheer quality of the restoration and the joy of seeing these classic episodes again more than make up for any lack of bonus features. The same collection of images and telesnaps used to reconstruct episode three for its iTunes release has also been employed to complete the story. Although I would have liked to have seen the missing third episode reconstructed with animation like the other incomplete stories previously released on DVD, the telesnaps and audio are more than adequate. Its just a shame Nicholas Courtney’s first onscreen appearance as Colonel Lethbridge-Stewart is in this missing episode, while the telesnaps and audio document this scene well enough, it would have been a magical moment to actually witness the debut of this much-loved character and his historic first encounter with Patrick Troughton’s Doctor. The final episode of The Web of Fear rattles along at a cracking pace. Travers, now released from the Intelligence’s control, is rounded up along with all the others by the Yeti and taken to the Piccadilly Circus station, where the true host of the alien Intelligence is finally revealed as Staff Sgt. Arnold. Unaware the Doctor has secretly reprogrammed one of the Yetis, the Intelligence believes it has won, but before the pyramid device can drain the Doctor’s mind Jamie orders the controlled Yeti to attack and pulls him free. The Doctor is livid, having sabotaged the helmet to drain the Intelligence into his own mind, he is robbed of a decisive victory and the action packed final moments culminate with the Great Intelligence being sent back into space. It is only during this last episode that The Web of Fear comes unstuck a little. The Intelligence’s control over Staff Sgt. Arnold’s lacks the sinister menace of Padmasambhava’s possession in The Abominable Snowmen, where the Intelligence spoke in a chilling whisper, and though the conclusion is exciting it does feels a little rushed – however these are only minor quibbles in what is otherwise a near flawless production. The Web of Fear DVD is a fantastic example of Patrick Troughton’s era, and I’m sure this classic story will take pride of place in many collections. Season Five is often held in the highest regard as one of the very best, if not finest, seasons of Doctor Who ever made. The Web of Fear exemplifies the best qualities of the base under siege format that became so synonymous of this era of monsters, with exciting scripts, and excellent direction; it also featured some of the highest levels of quality and design ever seen in Doctor Who during the sixties. Season Five also heralded significant changes in the production team (With the departure of Innes Lloyd, Peter Bryant would become the new Producer on Doctor Who, and Derrick Sherwin joined as Story Editor) and it is perhaps testament to this smooth transition behind the scenes, together with Troughton, Hines, and Watling’s endearing performances, that all contributed towards The Web of Fear, and Season Five as a whole, achieving such a high standard in both terms of quality and production that it would become one of the programmes most distinctive and memorable seasons of all time. Batman #29 is one of those comic books you get on new comic book day that you read and then immediately want to read again. 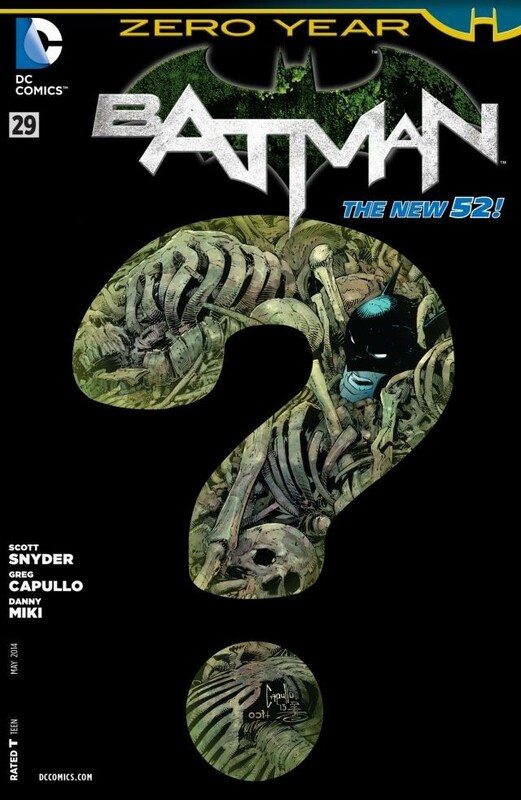 Greg Capullo’s stunning cover alone is enough to wet your appetite for this issue, emblazoned with a single question mark depicting Batman almost drowning in a sea of bones, its not long before we see the Dark Knight bursting from this sepulchre of Gotham’s past with an almost primal rage to save the city. Scott Snyder has weaved an inordinate number of plot threads into the Dark City chapter of Zero Year. Here, as we watch Lieutenant Gordon oversee the evacuation of neighbourhoods at risk of flooding, the meticulous groundwork and attention to detail that Snyder has installed in nearly every aspect of Zero Year begins to come to fruition. A familiar face here, along with a subtle link to the scientists that Helfern killed, and the very act of restoring the power to the city, all converge around one distinct landmark that has been hiding in plain sight all along. A new Bat-Vehicle makes a spectacular entrance in Batman #29 as well, and it’s a real punch the air, didn’t see that bit coming, kind of moment that will leave you gasping in awe as the Dark Knight makes his entrance. With a knowing tip of the hat to Christopher Nolan’s Batman Begins, the rest of this issue quickly gets down to business. Batman knows the Riddler has managed to construct a remote hacking hub, which together with the other technologies and research he has acquired will enable him to take control of the city once the power is switched on. The com-chatter between Batman and Alfred is another standout moment here; there are some brilliant exchanges between them, especially when an impossible leap of faith is called for so Batman can reach his goal. From here, the issue speeds along at a break-neck pace. Events from the opening stages of Dark City become even more prevalent, especially when Batman has to face Dr Death again during the height of the storm. While Gordon’s confrontation with the Riddler leaves him caught between a rock and a hard place, the revelations begin to come thick and fast during Batman’s fight with Dr Death. The way Snyder and Capullo bring these various elements together against the backdrop of the storm is breathtaking, and we begin to realise just how closely Dr Karl Helfern’s life and work has become entwined with Batman’s own past. The fact it stems from such an ambiguous link to a song written on a soldiers helmet as he went to war, makes it all the more tragic that Helfern’s research consumed his life and made him easy prey for the Riddler’s schemes. You know, I’m starting to run out of words to describe just how good Greg Capullo’s work on this series has been. I’m sitting here writing this, and I just keep flicking back through the pages, especially the *censored* one, and I have to say that I am left speechless by this man’s artistic talent. Capullo has really pulled out all the stops with this issue: the dynamic layout paces the story perfectly, there are full pages which are simply outstanding, and the ferocity of every thunderclap punctuates those big action set-pieces as Batman’s struggle with Helfern takes centre stage. Danny Miki’s inks are as flawless as ever, while FCO’s colors are simply phenomenal – I can’t stop looking at that page where Batman leaps into the storm; it’s magnificent! Dr Death returns this issue, bigger, and more powerful than before. 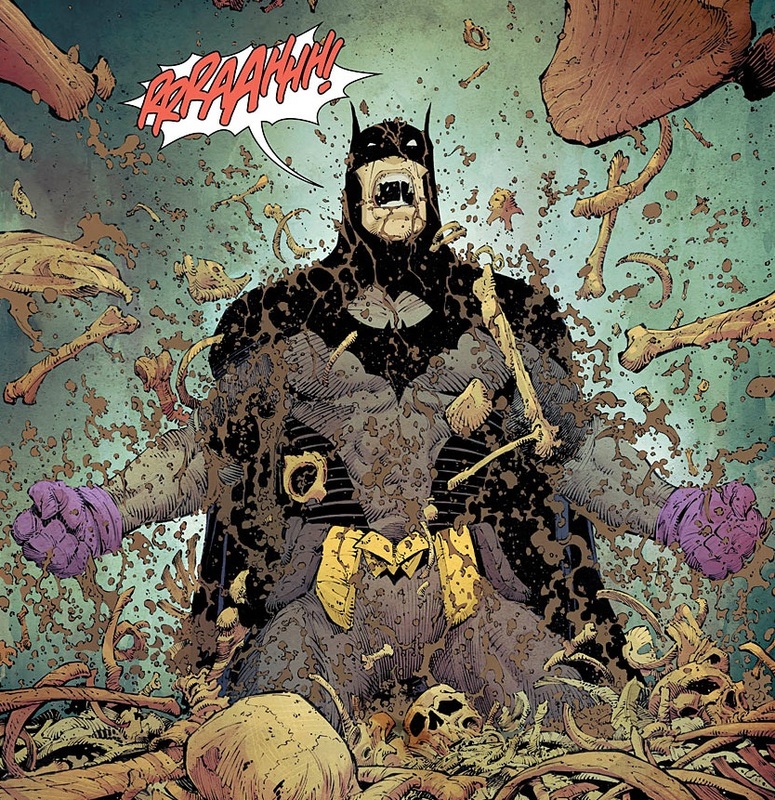 Helfern becomes even more horrifically deformed in his fight with Batman, the accelerated bone growth cause by his serum leads to some gruesome scenes of body horror. The Riddler also emerges from the shadows, strolling into the storm drenched streets, casually twirling his cane as he unleashes the greatest riddle of all on Gotham and her citizens. The themes of climate change have played a major role in this chapter of Zero Year. In his plan to create a new environment for Gotham, Nygma has set a challenge that will send Batman and the very city he is sworn to protect back to a base level, forcing them all to evolve in order to survive if they are to have any hope at all of catching him. Ever since Zero Year began, the murder of Thomas and Martha Wayne has never been far from our minds. Batman #29 is Scott Snyder and Greg Capullo’s version of this momentous, almost sacred, part of Batman’s origin. 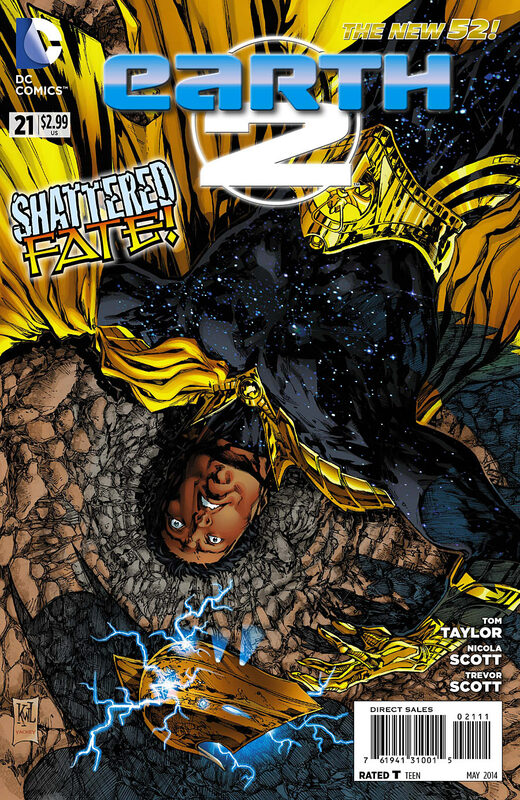 Zero Year has shown us glimpses of events from the day leading up to that fateful night in Crime Alley, each issue has steadily been building up to this defining moment in Bruce’s life, successfully expanding the mythology of the character to a new level while brining a fresh insight into Bruce’s early crime-fighting career. Batman #29 draws us inexorably towards this tragic moment in Crime Alley, from the ominously placed poster in the police station, to the heartrending finality of that night, Snyder and Capullo’s take on this pivotal scene is nothing short of magnificent. The haunting clarity of this moment will envelope you completely as the gunshots ring out. In a perfect fusion of storytelling and art the impact of this scene is multiplied tenfold when the genesis of Batman’s grief and rage boils over as Gotham succumbs to the storm. As the second arc of Zero Year closes in Batman #29, we now approach the final part of Zero Year, the intriguingly titled Savage City, that will conclude writer Scott Snyder and artist Greg Capullo’s stunning 11 part retelling of the beginning of Bruce Wayne’s crime fighting career as Batman within the context of The New 52. So far it’s been one hell of a ride, and I’m sure Savage City will form an equally epic conclusion to this storyline. 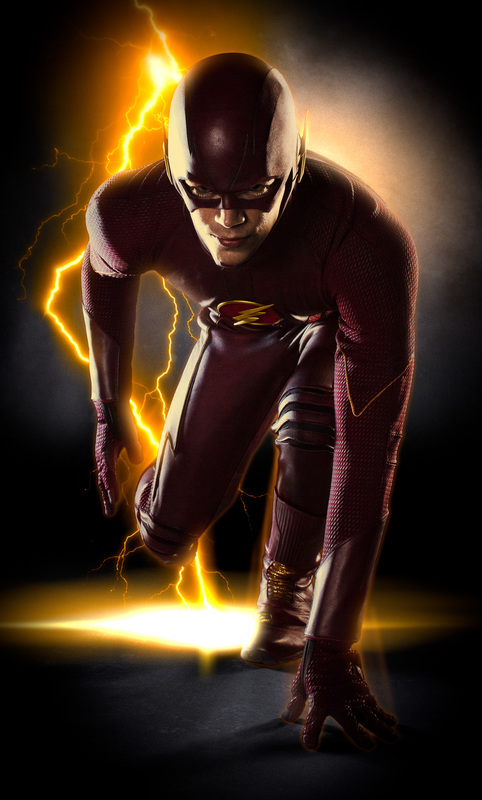 CW’s The Flash: Full Costume Revealed! Today the CW and Warner Bros Television have issued a new photo of Grant Gustin (Barry Allen) in full costume as The Flash. The Flash costume has been designed by Colleen Atwood, a three-time Academy award winner, who also designed the costume for Arrow as well. 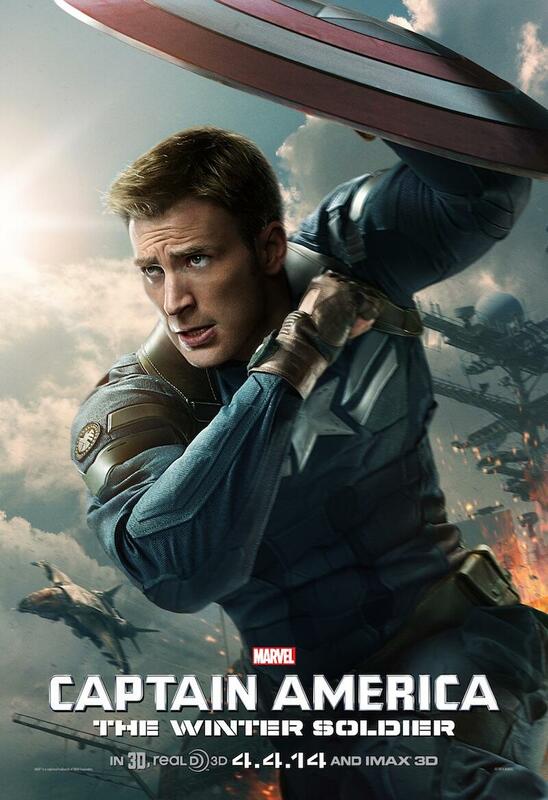 The costume looks incredible faithful to the comic book version. The Flash Pilot is now in production, with a potential slot in The CW’s 2014-2015 lineup.